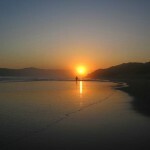 Welcome to Sedgefield, a sleepy seaside village set in the lakes district between Wilderness and Knysna. With only +- 8000 permanent residents, combined with the laid-back rustic village atmosphere, it’s no wonder the town’s motto is ‘A place where the tortoise sets the pace’. 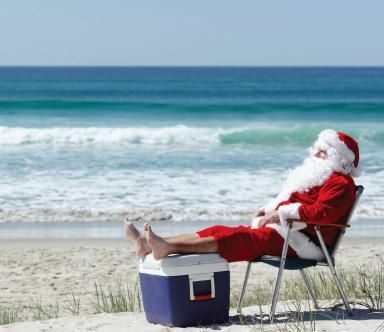 Beaches, bird-watching, fishing and other outdoor activities attract holiday makers, preferring the all-year mild weather. 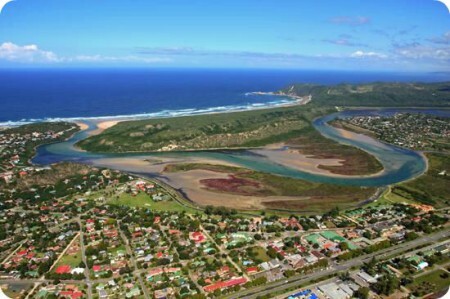 Sedgefield is most popular among South African families seeking a quiet seaside holiday spot during the peak December – January school holiday season. The golf course, tennis court and bowls field cater to the significant portion of retired permanent residents. The town was proclaimed in 1929 on the farm Sedgefield, which in turn was named in 1894 after the village of the same name in the UK where the father (Henry Barrington) of the then-farmowner was born. The Annual Sedgefield Slow Festival. It’s all about having fun the old-fashioned way, before TVs, Computers and Cellphones. Celebrating the great outdoors in and around town, the Slow Festival includes a wide range of activities for all ages and interests. Events include: a Paragliding Challenge; Beer Pong Championship; Goukamma Traverse Trail Run; Slow Art in the Park; Family Theatre Show; Slow Festival Yard Sale; Anything that floats; Sand sculpting Challenge; Beach Volleyball; Slow Fest Beauty Pageants; Amazing Creatures and Band Parade; Slow Town Drive In; Township Tours; Slow Biking Challenge; Picnic Concert In The Park, Timberlake Chocolate Workshop and a whole lot more! 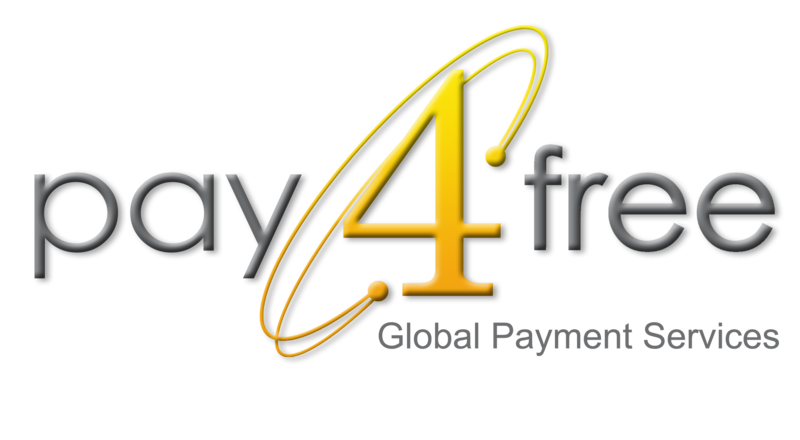 Proceeds of events go to local charities, schools and organisations. The Wild Oats Market, attracting large numbers of tourists and residents from the Garden Route region every Saturday morning. 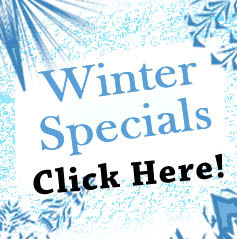 Offerings of local arts&crafts, local farmers fresh, organic produce and delicious meals. Very FAMILY friendly! Sedgefield Classic Cars. 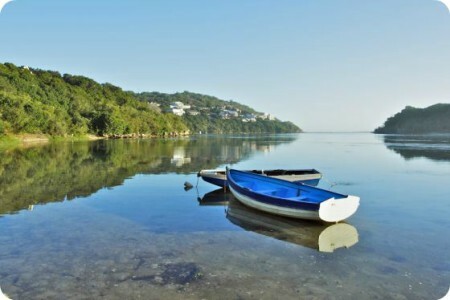 One of the main attractions of this quaint town, also that of the Garden Route. With a variety of 50 – 60 cars at any point in time, this is a worth-while visit for anyone seeking a trip down memory lane…perhaps even leaving with the keys of one! 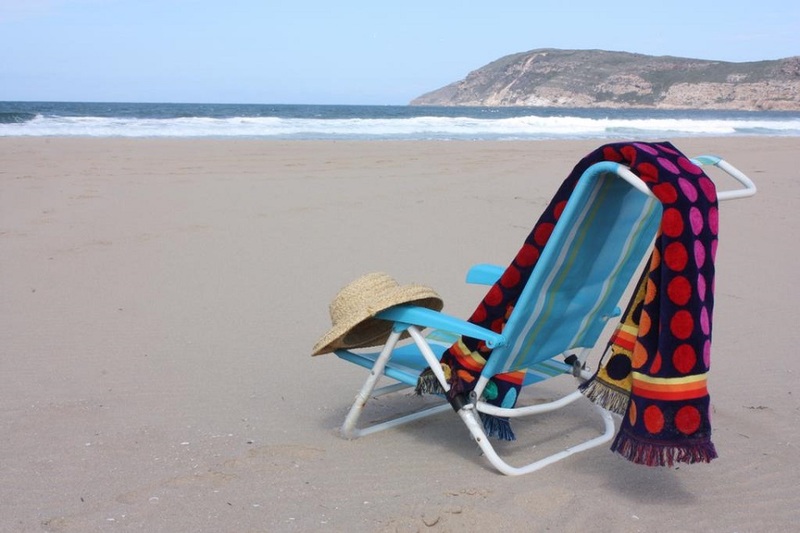 Natural attractions which include Gericke’s Lookout Point as well as the protected natural dune areas which harbours Cape Fynbos plantations and rare bird species. 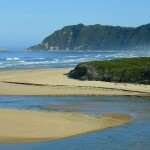 Goukamma Nature Reserve. The approx. 2 500ha nature reserve boasts a magnificent coastline of 14km, with the adjacent Marine Protected Area extending seawards for 1,8km. 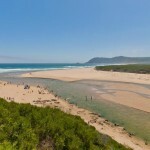 This reserve is home to a long beach, an extensive dune field (with some of the highest vegetated dunes in South Africa), the Goukamma River and Estuary, as well as the unique Groenvlei Lake which has no in-flowing river and no link to the sea. Coastal fynbos and coastal forest are the main types of vegetation found here. Diverse habitats support many animal species including Grysbok, bushbuck, bushpic, porcupine, vervet monkeys occur, caracal, water and grey mongoose, honey badger and otter. Groenvlei has seven fish species (2 indigenous and 5 alien). More than 220 species of birds have been recorded in this area: Spoonbill, Africa Fish Eagle, African Marsh Harrier, Knysna Loerie, 3 species of Kingfisher, the rare African Black Oystercatcher and the occasional endangered African Penguin. 5 Beaches, all running into each other. 1) Cola Beach: It never gets crowded, even in peak season. At low tide, it’s easy to walk the 6 km stretch. Access is via a long boardwalk with a decent viewpoint. Rock and surf fishing are particularly popular here. 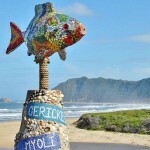 2) Gericke’s Point: Popular with locals and nature lovers, this is one of the Garden Route’s best-kept secrets. You can easily spend an entire day in this stunning and fascinating place. The rocky landmark resembles a lion’s head and the top and offers a great vantage point to watch Southern Right whales during their calving season. You might even see the resident pod of Humpback dolphins. A lovely quiet bay, Gericke’s Point has impressive weathered sandstone cliffs that are actually fossilised dunes – home to some of the highest dunes in South Africa! Colonies of Cape and White Breasted Cormorants nest on the cliffs. Seagulls, herons and oystercatchers can often be seen from the shore. At low tide the exposed rock pools are fascinating to explore. The deeper pools are great for snorkeling and swimming. 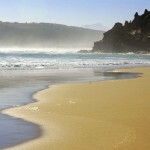 3) Myoli Beach: Another best-kept secret, this golden sandy beach has much to offer. Conveniently situated near a restaurant, beach bar, parking and a good selection of holiday accommodation, Myoli is one of the top wave-riding beaches along this coast, drawing surfers, kite surfers, wake boarders and stand-up paddlers. It’s also a great place to chill out, sip on cocktails, spot dolphins or watch whales from the observation platform. 4) Sedgefield Beach: An easy stroll down a boardwalk from the parking area, this family-friendly beach offers great swimming in the lagoon mouth plus spectacular views. Also known as Kingfisher Creek, the lagoon is a fun spot for little kids to paddle about. Picnic alongside the estuary (there is shelter from prevailing wind) and easily spend the entire day here. 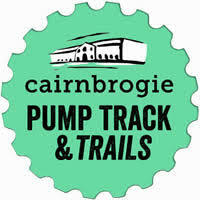 Ablution and shower facilities are easily accessible. 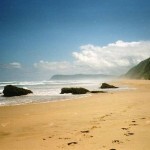 5) Swartvlei Beach: An amazing sandy beach for walking or horse riding. Enjoy a walk to Gericke’s Point, looking out for pods of common, bottlenose and humpback dolphins in the surf. Southern Right whales can be seen from July to October. This spectacular beach is also the breeding ground for the rare African Black Oyster Catcher. There are some lovely safe swimming spots but be careful as there can be riptides and dangerous currents here. There are various shops in town – adequate for grocery and other shopping. Situated on the N2, Wilderness is approx. 23km to the West with Knysna 25km East. 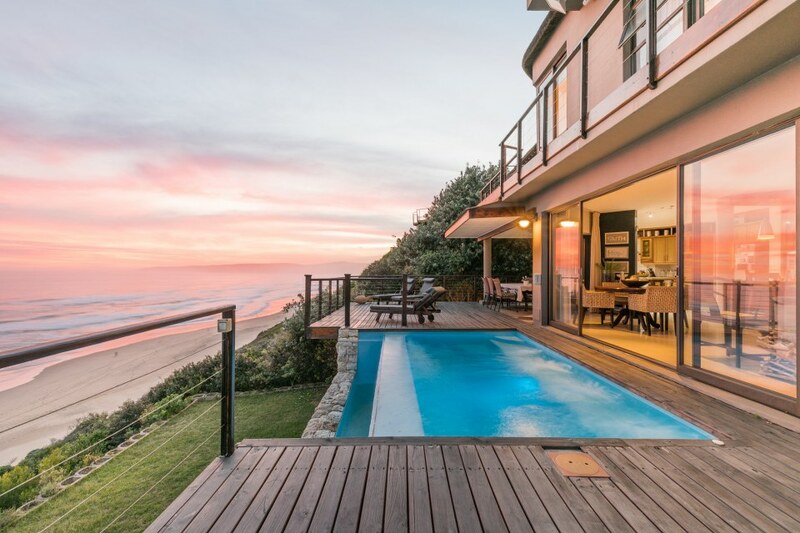 Click here for all listed accommodation in Sedgefield and the nearby vicinity.